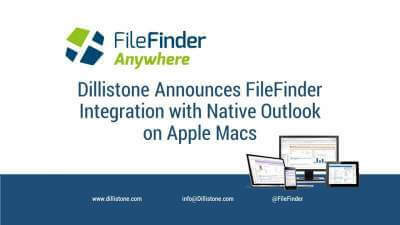 In a first for the recruitment software industry, Dillistone Systems, the global provider of the market leading FileFinder Anywhere suite of Executive Search applications, has announced that the product range now supports integration with the native Apple Mac version of Microsoft’s Outlook email app. The new development allows users on the Mac operating system to add information to and review information from the FileFinder database from within the native version of Outlook. Several firms provide similar functionality for the Windows version of Outlook, and Dillistone has long provided a comparable service within the Browser version of Microsoft’s market-leading email app, but this is believed to be the first time that Outlook users on Macs will enjoy access to such functionality within the native version of the tool. 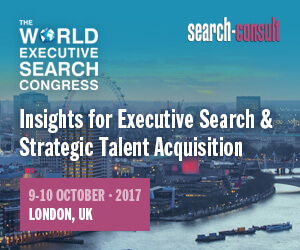 “Dillistone Systems was the first supplier to the executive search industry to launch an Outlook add-in – that was more than a decade ago. In 2014 we became the first – and currently only – supplier in the sector to support the browser version of Outlook and, today, we are delighted to become the first supplier to offer support for the native version of Outlook on the Apple Mac,” explained Jason Starr, Managing Director of Dillistone Systems. Dillistone Systems has enjoyed a dramatic increase in sales growth for the FileFinder Anywhere App in 2016 and the latest developments – which come just a month after the launch of the FileFinder Anywhere client portal – will further that growth. “As the only mainstream supplier to executive search with a full browser solution, we can now focus our efforts on continuing to further improve the experience of our users with tools like this. We expect further announcements in the coming months,” added Jason Starr.